A SierraHosts web design will get you there! 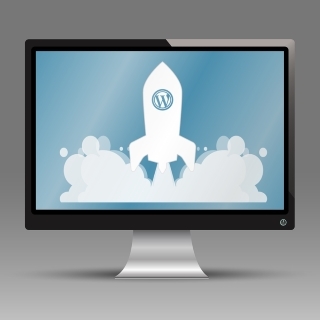 SierraHosts offers basic to advanced WordPress web design for businesses, organizations and entrepreneurs in Grass Valley, Nevada City, Auburn, Truckee and beyond. Why WordPress? Because you own it. With other web design platforms on the market, such as Squarespace, Wix and Weebly, you are just a renter. If you miss a payment, your online presence goes away forever. If they jack up their monthly fees or customer support goes downhill, you’re locked in — you can’t copy or move your website elsewhere. Need a theme or advanced marketing or ecommerce feature they don’t provide? Too bad, you’re stuck with their limited choices. Successful businesses can’t afford to be trapped by Squarespace, Wix and Weebly. This is why so many growing businesses choose to upgrade to a WordPress web design when the cost and limitations of their “rent-a-site” becomes painfully apparent. With WordPress, you are in full control of your website and have access to thousands of free and premium plugins that give your website powerful, advanced features to make your business more profitable. With WordPress, we design simple one-page websites & landing pages to full-featured, multi-page websites that present your services, products and offers with a clean, modern and very professional look. All designs are 100% mobile-responsive, so your website will look great and be easy to read on desktops, laptops, tablets and mobile devices. They’re also SEO-friendly so your website can be more easily found in Google, Bing and Yahoo! search results. WordPress is also great for e-commerce website designs. With a host of shopping cart solutions and merchant account payment options, WordPress is the most flexible way to sell your products, services and digital downloads directly from your website. And unlike other proprietary solutions such as Squarespace and Shopify, you own your e-commerce website 100%, so you’re not locked in and you’ll never risk losing your income stream. WordPress also makes it easy for entrepreneurs and startups to scale-up by driving paid traffic to a sophisticated online sales funnels that feature special offers, email opt-ins, product up-sells, down-sells, cross-sells and one-time offers. Unlike competing solutions such as Clickfunnels, Leadpages & LeadKit, you own your funnel 100%. Or maybe you’re a consultant or personal coach who is seeking to expand your reach and automate your cash flow. With a membership website or learning management system built on WordPress, you can monetize your experience and knowledge, step out of the 9-to-5, and put your income stream on autopilot. For bloggers and other online publishers, we craft eye-catching websites with a primary focus on presenting your articles, stories, reviews, recipes, how-to’s, photos, videos and other creative content front and center, in the most attractive way imaginable, while also bundling in monetization features such as display advertising, affiliate links, email opt-ins, sales funnels and more. It’s true. Any type of website that you can imagine can be built with WordPress. But as a small business owner, your #1 challenge is time. And your time is worth a lot to your business. Rather than fussing with web design, page layout, navigation menus, optimizing images, and missing out on advanced features that make your website more profitable, doesn’t it make smart business sense to hire a web development professional to build your high-converting website a whole lot faster? If the answer is yes, contact us for a customized web design quote. Get your business found in Google and the other major search engines. Maximize the search engine visibility of your site with our SEO services and get a free stream of qualified leads to your website each and every month. We’ll dig into keyword and competitor research, optimize your website for improved search results, and add Google Analytics so you can track your rankings and success. Why tangle with code, learning curves and keywords when we can handle it for you? Request an SEO quote today. Does your WordPress website need scheduled content updates, improved security, recurring backups, plugin fixes, theme tweaks, or ongoing management and maintenance? We handle these types of tasks on a monthly contract basis at a very reasonable rate. Take the stress off! Please call to discuss your WordPress support and maintenance needs. Don’t look like a copycat — get your WordPress theme customized. Our experienced WordPress web designer team will match your new or existing WordPress site / theme to any existing website, brand, design, marketing campaign or color scheme and adjust the look and feel to suit your unique branding needs. WordPress theme customization services start at $85 per hour. Learn to use WordPress like a pro! Learn tips, tricks and hacks that you never knew existed and increase your productivity. SierraHosts provides personalized, on-site WordPress training for individuals and small businesses in the Nevada County area. $45 per hour, with a two-hour minimum. Add payment integration to your website to monetize content and sell products directly from your website. Bitcoin is the perfect way to make money as a blogger, accept micro-donations as a non-profit, or sell digital downloads from your site. $45 per hour. We offer basic install and set-up services for all of the Softaculous packages that are included with our hosting plans. Packages include blogs (WordPress, Nucleus, etc. ), CMS platforms (Drupal, Joomla, Mambo, etc. ), CRM and ERP tools (SugarCRM, Vtiger), Discussion forums (Simple Machines Forum, phpBB), Shopping carts (OpenCart, Magento, PrestaShop), Wikis, and more! $45 per hour. If you need graphics or photos for your website but aren’t savvy with graphics software, image compression or optimization we can help! SierraHosts offers web graphics services for $45 per hour. Advanced small business web design near Grass Valley, Nevada City, Penn Valley & Nevada County California.